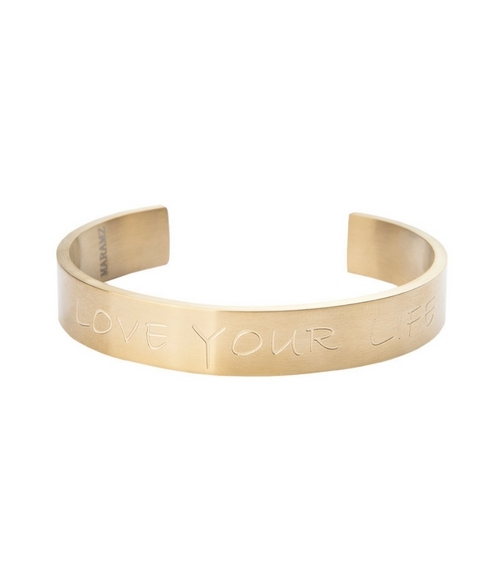 A bracelet with an inspirational quote, 'Love Your Life'. It's important to remind ourselves to not take life so seriously sometimes, to just enjoy each day as it comes. This bracelet certainly reminds you of it everyday. 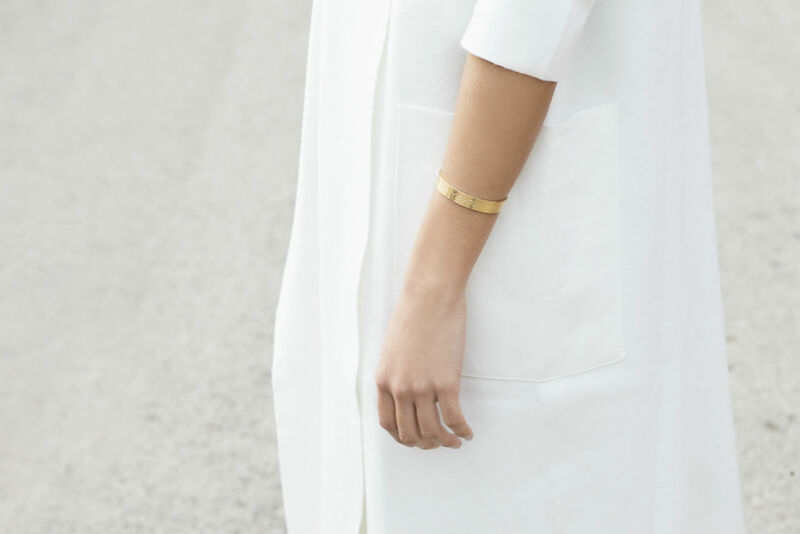 Wear it on its own or stack it with other gold jewellery to jazz it up. Stainless steel bracelet with 24k gold and PVD treatment. Design letters "love your life".